Cauliflower rice is a fluffy, vegetable alternative to rice. It's simple to make at home with the help of a food processor, and cooks in just a few minutes. It can be flavored with a variety of herbs, spices or aromatics like shallots, garlic or onions. Sprinkle it over salads for added texture and nutritional value, or use it anywhere you would use rice or quinoa. 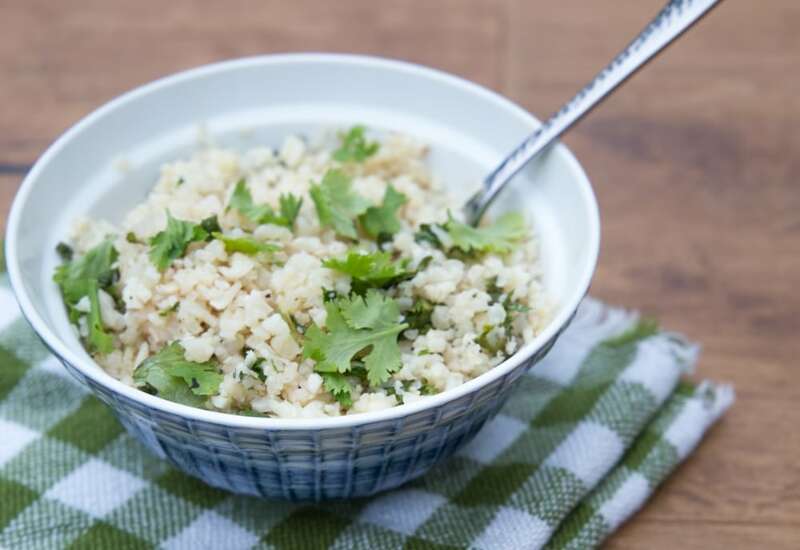 We love it with a squeeze of lemon and topped with fresh chopped parsley or cilantro for a low-carb, high-fiber side dish to serve with roast chicken, grilled salmon or pork tenderloin. If you're looking to cut back on carbs, have gluten allergies or are doing Whole 30, cauliflower rice is a life-saver. Try making it with different aromatics—substitute white onion or scallions for the shallots, and serve with chopped parsley or mint instead of cilantro. Per Serving: 58 calories; 4g fat; 5.8g carbohydrates; 2g protein; 0mg cholesterol; 277mg sodium. My gluten intolerance led me to try and find substitutes for many dinners made at home. Cauliflower rice is definitely NOT rice. However, this recipe really made me (and even my husband) forget we were missing our grainy/starchy side dish. The flavor paired well with two different entrees! I make cauliflower rice all the time. Especially with this low-carb diet. I used to buy the pre-riced store bought, but this taste fresher and it's really simple. Everyone should try it at least once, even if you don't like cauliflower.